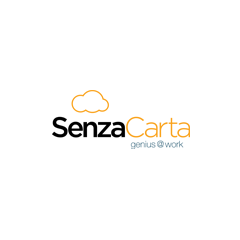 Senza Carta is dual functionality HR software. For individual users, it is a portable storage facility for important employment documents. The user manages their career documents in digital format, sharing their information with employers and recruiters as job offers arise. As an enterprise system, Senza Carta is a paperless onboarding and communication system designed to optimise the employee experience. When this dual functionality converges – it creates the future way of working. Senza Carta is ready for a global audience of job seekers, grads and travelling workers.